A mechanics’ lien allows unpaid building contractors to obtain payment by forcing the sale of the land where their work was performed. A Mechanics’ lien claim arising out of the original construction or subsequent renovation of a condominium can be enforced against an entire condominium, including the individual units. This article discusses the unit owner notice and party inclusion requirements necessary for enforcing mechanics’ liens against a condominium in Maryland and the District of Columbia. The information provided is important for condominium associations and their unit owner members, as well contractors, because failure to comply with these requirements will typically result in the dismissal and loss of a contractor’s mechanic’s lien rights against the condominium. A mechanic’s lien statutes creates a lien that attaches to the land where contractors and subcontractors perform work and supply materials in the construction, renovation, or repair of a building or other improvement to real property. If the contractors or subcontractors do not receive payment for their work as required under their contracts, the lien can be used to force the sale of the property as a source of funds to pay the amount due. In order to ensure that this extreme contractor remedy is not unfairly administered, mechanics’ lien laws generally require that: (1) the property owner be given advance notice of the contractor’s or subcontractor’s intention to establish or enforce the lien; and (2) the property owner be made a party to any subsequent legal proceedings seeking to establish or enforce the lien. Requiring advance notice allows the property owners to withhold payments from a general contractor in order to satisfy claims of unpaid subcontractors thereby preventing a lien claim. Requiring that the property owners be made a party to the suit ensures they are not deprived their property without an opportunity to be heard and defend against the lien claim. These property owner notice and party inclusion requirements can be difficult to apply when condominiums are involved because they are common ownership communities with multiple property owners (unit owners) and a governing condominium association entity that acts on their behalf with regard to the repair and maintenance of the condominium common elements. 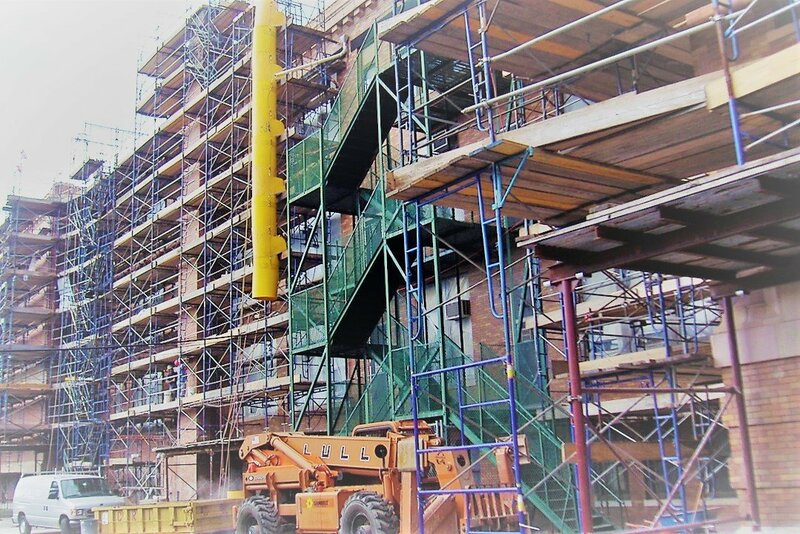 Mechanics’ lien claims involving condominiums typically arise out of: (1) work performed for a condominium developer in the original construction of the condominium or (2) work performed for a condominium association in connection with major common element repair or renovation projects (e.g., replacement of exterior walls, roofs and foundations). Unpaid contractors and subcontractors seeking a “blanket” mechanics’ lien that can be enforced against the entire condominium in connection with these types of projects must determine who should be given advanced notice and made a party to their mechanics’ lien legal action. Additionally, a contractor performing common element repair or renovation work must obtain proper authorization from the condominium association. Condominium ownership is a “moving target” for contractors seeking to establish a mechanics’ lien. Over the course of the construction of a new condominium project property ownership gradually changes from condominium developer to unit owners. When contractors are initially hired, a single condominium developer owns the property privately. However, as construction of each building or portion thereof (referred to as a “phase”) is completed and becomes ready for occupancy, it is made part of a condominium regime by the filing of a condominium declaration and plat. These documents redefine the boundaries of the property into condominium units and common elements. The condominium developer then begins conveying ownership of the completed condominium units to members of the public while construction continues on the remaining phases that will also be added to the condominium regime at a later date upon completion. In this manner, ownership over the entire property is transferred over the course of construction, in phases, from a single condominium developer to multiple unit owners. In Maryland, a “subcontractor” (i.e., a contractor who does not have a contractual relationship directly with the owner of the property over which a lien is sought) must provide the property owner with a “Notice of Intention to Claim a Lien” within 120 days from the last day it performed work or supplied materials on the project. Maryland Mechanic’s Liens Act §9-101(9) and §9-104. This notice is a written document describing the work done or materials provided at the property and the amount due. Maryland Mechanic’s Lien Act §9-104(b). Contractors and subcontractors sometimes mistakenly assume that the condominium developer is the sole owner and that it is unnecessary to provide anyone else with a Notice of Intent to Claim a Lien. However, by the time a mechanics’ lien claim is pursued, a large portion, if not all of the property, has already been made part of a condominium regime and is owned by multiple different condominium unit owners who have no contractual relationship with the developer’s contractor or any subcontractors. In Maryland, all contractors and subcontractors involved in the original construction seeking to establish a blanket mechanics’ lien against the entire condominium, including all units and common elements, must serve a “Notice of Intention to Claim a Lien” on all unit owners. It is not sufficient to simply give notice to the condominium developer. Failure to provide timely notice to the unit owners will result in the dismissal and likely termination of lien rights. Additionally, each unit owner must also be served with and be made a party to the lawsuit seeking to establish a lien against the property (known as a “Petition to Establish Mechanic’s Lien”) that must be filed in court within 180 days from the last day work or materials were supplied at the project. Maryland Mechanic’s Lien Act, §9-105. See also, Southern Management Corp. v. Kevin Wiles Co., Inc. (“Southern Management”), 382 Md. 524, 546-48 (2004) (approving the opinion of the Supreme Court of Connecticut that a contractor who constructs a new condominium for a developer cannot seek a lien against the entire condominium unless it gives notice to all unit owners who have acquired ownership interest in the condominium and names them as parties in the subsequent mechanic’s lien legal action). In Washington DC, unit owner notice is not an issue for mechanic’s lien claims arising out of the original construction because the District of Columbia Condominium Act (“DC Condo Act”) mandates that any mechanics’ liens affecting the condominium be “paid and satisfied” by the condominium developer before conveying units to the public. Thus, no mechanics’ lien claims from the original construction can affect unit owners. The difference between Maryland and Washington DC resides in a legal fiction as to the time when the mechanic’s lien attaches to the property. In Maryland, unlike Washington DC, a mechanic’s lien arising out of the original construction of a condominium can attach after units have been conveyed by the developer to members of the public. This can occur because under Maryland law, a mechanic’s lien does not attach to the property until a court grants a contractor’s “Petition to Establish Mechanics’ Lien” and enters an order establishing the lien. By that time, the contractor’s work has been performed and, some or all of the property has likely been made part of the condominium and conveyed by the developer to multiple unit owners whose property will then become subject to the imposition of a lien relating back to the original construction. In the District of Columbia, a mechanic’s lien is deemed, by operation of law, to attach to the property at the time the contractor commences the work. Therefore, all mechanics’ liens arising out of the original construction will have already attached to the property while it is still owned by the developer, before it can be made part of the condominium. A condominium developer cannot convey clear title to a unit owner if the property is subject to a mechanics’ lien. The District of Columbia Condominium Act deals with this issue by mandating that mechanics’ liens be removed before transfer of the title: “[a]t the time of the conveyance to the first purchaser of each condominium unit … any mechanic’s … liens … affecting the condominium … shall be paid and satisfied of record,” or the condominium developer “shall forthwith have the … condominium unit released … from all such liens not so paid and satisfied.” DC Condo Act §42-1902.02(a). In this manner, any mechanics’ liens attaching to the property from the original construction will be paid and satisfied before the conveyance of condominium units to members of the public. III. MECHANICS’ LIENS ARISING OUT OF COMMON ELEMENT WORK PERFORMED FOR A CONDOMINIUM ASSOCIATION. Each member of the public who purchases a condominium unit acquires two real property ownership interests: (1) an interest in their individual unit owned solely by them; and (2) an interest in the common elements shared with all other unit owners (referred to as an “undivided percentage interest”). The interest in the unit cannot be separated from the undivided interest in the common elements. Each unit owner takes title to these interests subject to the condominium declaration and bylaws under which they become a member of the condominium association with an obligation to share in the common expense that the association incurs maintaining and repairing the common elements. The common elements typically consist of roofs, exterior walls, foundations, common utility lines, hallways and entranceways, exterior sidewalks, streets, and other grounds that surround the unit living spaces contained within the building(s). Once a condominium is established and reaches a point where the common elements require major repair or renovation work, it is the condominium association that is responsible for hiring contractors to perform that work. In these circumstances, the Maryland and District of Columbia Condominium Acts sets forth specifics as to manner under which a mechanics’ lien can attach to all of the individual units. Under the Maryland Condominium Act (“MD Condo Act”), a mechanics’ lien arising out of a common element repair or renovation project, if “authorized in writing” by the condominium association, becomes “a common expense” and, until paid by the association, “shall be a lien against each unit in proportion to its percentage interest in the common elements.” MD Condo Act §11–118(b). A written contract between the association and a contractor to perform the work would satisfy the “authorized in writing” requirement. Although a condominium association is charged with the authority to maintain and repair the common elements, it does not actually own the common elements or any of the units. Therefore, simply obtaining the association’s written authorization for common element work is not adequate. Maryland’s highest court has held that before a mechanics’ lien arising from unpaid common element work can attach to the entire condominium, including all units as provided in Section 11–118(b) of the Maryland Condominium Act, a contractor must also: (1) provide all unit owners with a copy of its Notice of Intent to Claim a Mechanic’s Lien; and (2) name all unit owners as parties to its Petition to Establish Mechanic’s Lien. Southern Management at 531 and 552-53. The District of Columbia Condominium Act also sets forth conditions under which a mechanics’ lien arising out of common element repair or renovation work can become a lien against all condominium units. Specifically, the Act provides that if the “[l]abor performed or materials furnished for the common elements” was “duly authorized” by the condominium association following the “period of developer control,” then: (1) such labor or materials “shall be deemed to be performed or furnished with the express consent of every unit owner,” and; (2) such authorization by the association “shall be the basis for the filing of a lien [under the mechanics’ lien act] against all of the condominium units.” DC Condo Act §42-1902.02(b). The issue of whether each unit owner must be given actual notice in the form of a copy of the Notice of Intent to Enforce Mechanics’ Lien and subsequently be included as a party to any enforcement action is a more complex and unsettled issue in the District of Columbia. In Washington DC, a contractor’s “Notice of Intent to Enforce Mechanics’ Lien” is not simply a written document delivered solely to the property owner as in Maryland. Instead, the notice must be “recorded in the land records” (the DC Office of Recorder of Deeds) no later than 90 days after the earlier of the completion or termination of the construction project. DC Mechanics’ Lien Act §40-301.02(a)(1). Failure to meet this recording deadline results in termination of the lien. DC Mechanics’ Lien Act §40-301.02(a)(1). The notice must contain the names of the property owners “against whose interest a lien is claimed” (i.e., all of the unit owners). DC Mechanics’ Lien Act §40-301.02(b)(3). Recording the notice makes it part of the public record affecting title to real property and provides constructive notice to the public, including all unit owners and prospective purchasers, that a contractor is seeking to enforce a mechanics’ lien against the condominium units. Within five (5) business days after recording the Notice of Intent to Enforce Mechanics’ Lien, a copy must be provided to the “owner” of the property. DC Mechanic’s Lien Act §40-301.02(a)(2) and §40-303.03(b). In the case of a condominium, all unit owners are the “owner” of the property. However, it is unclear whether the DC Condo Act §42-1902.02(b) is intended to create an exception to this provision with respect to common element work by allowing the association to be the sole recipient of this notice on behalf of the unit owners. The uncertainty arises because the District of Columbia Condominium Act provides that: “[n]otice of … [a mechanics’] lien shall be served on the principle officer of the [condominium] association or any member of [its] executive board.” DC Condo Act §42-1902.02(b). Is such notice to a condominium association officer or board member intended to replace or be in addition to giving notice to each of the unit owners? There is no reported case law addressing this issue. Therefore, contractors seeking to enforce a mechanics lien against all condominium units under DC Condo Act §42-1902.02(b), would be wise to timely provide all unit owners with a copy of their Notice of Intent to Enforce Mechanic’s Lien, in addition to providing the association with a copy. In Washington DC, a lawsuit seeking to enforce a mechanic’s lien must be filed in court “within 180 days after the date that the notice of intent is recorded in the land records,” DC Mechanic’s Lien Act §40-303.13(a)(1)(A), “and a copy thereof served on the owner or his agent.” DC Mechanic’s Lien Act §40-303.08. Thereafter, “within 10 days of filing suit,” a “Notice of Pendency of Action” must be recorded with the Recorder of Deeds. DC Mechanic’s Lien Act §40-303.13(a)(1)(B). The “Notice of Pendency of Action” identifies and describes the mechanics lien lawsuit, including the amount sought, the property to be affected and the name of the person(s) whose property is intended to be affected thereby (i.e., all of the unit owners). Once recorded, the “Notice of Pendency of Action” also becomes a part of the public records affecting title to real property and is deemed constructive notice to the public, including all unit owners and prospective purchasers, of the pending legal action to enforce a lien against the condominium units. Code of the District of Columbia §14-1207. It is also unclear whether DC Condo Act §42-1902.02(b) allows a suit to enforce a mechanics’ lien arising out of common element to be brought against and served on the condominium association as the agent and representative of the unit owners, or whether each unit owner must be named and served individually in the law suit. There is no reported case law addressing this issue. Therefore, contractors seeking to enforce a mechanics’ lien against all units under DC Condo Act §42-1902.02(b), would be wise to name all unit owners as parties in their law suit and provide each with a copy thereof, in addition to the association. Despite the broad language of the DC Condo Act §42-1902.02(b), seemingly authorizing the association to be a unit owner representative for mechanics’ liens actions, there are constitutional issues involved with excluding unit owners. To the extent that a mechanics’ lien lawsuit seeks to force the sale of units to satisfy the lien amount, the lack of prior actual notice and an opportunity to be individually heard in the lawsuit, arguably deprives unit owners of their property without adequate procedural due process. Moreover, each unit owner would also likely be deemed a “required party” under Superior Court Rule of Civil Procedure 19 because their absence from the case may “impair or impede” their ability to protect a claimed interest in their unit. In fact, these are essentially the conclusions reached by the Maryland Court of Appeals when it held that failure to give a unit owner notice and include it as a party in a suit to establish a mechanics’ lien “would … violate the due process rights” of that unit owner, Southern Management at 547-548, and also held that unit owners were “necessary parties” that must be included as a party under Maryland Rule 2-211(similar to Superior Court Rule of Civil Procedure 19). Southern Management at 548 at n.14. If the condominium association does not pay the mechanics’ lien amount as part of the common expense, or delays in doing so, any individual unit owner can take matters into their own hands to have the lien released from their individual unit by making payment of their unit’s proportionate share of the entire lien amount. MD Condo Act §11–118(b) and DC Condo Act §42-1902.02(c). Thereafter, that unit owner is exempt from having to pay assessments toward payment of the remaining lien amount. MD Condo Act §11–118(b) and DC Condo Act §42-1902.02(c). Mechanics’ Lien: the Maryland and Washington DC Mechanics Lien Acts spell the term “mechanics lien” differently by placement of an apostrophe. “Mechanics’ Lien” is the spelling used in the Annotated Code of Maryland and “Mechanic’s Lien” is the spelling used in the Code of the District of Columbia (emphasis added). For the sake of consistency, the spelling adopted by Maryland is used herein. 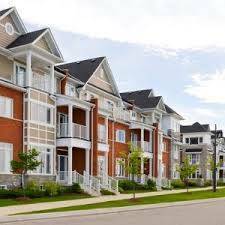 Condominium Association: the term “condominium association” is used in this article to describe the organization or entity that governs the affairs of the condominium in accordance with the condominium bylaws and declaration, and whose members consist of all condominium unit owners. Under the Maryland Condominium Act, a condominium association is referred to as a “council of unit owners. Under the District of Columbia Condominium Act a condominium association is referred to as a “unit owners’ association.” For purposes of simplicity, the terms “condominium association” or “association” have been used for this article. Developer: the term “developer” is used in this article to describe the person or entity that creates the condominium association. “Developer” is the terminology used by the Maryland Condominium Act. The District of Columbia Condominium Act, however, usually, but not always, refers to a developer as a “declarant” because it is the person or entity that files the condominium declaration and other legal documents that are necessary to create a condominium. The terms “developer” or “condominium developer” have been used throughout for simplicity. DISCLAIMER: This article should not be considered a legal opinion that can be relied upon for purposes of taking or not taking action in any particular situation. If you are seeking to rely upon legal advice regarding mechanics’ lien claims, you should consult with and retain a qualified attorney to analyze the specific facts of your case and provide legal opinions and legal advice applicable to your particular situation.